The City of Richmond’s first installation of Silva Cells is happening now at the 17th Street Market. This is an exciting moment for Richmond’s urban forest. 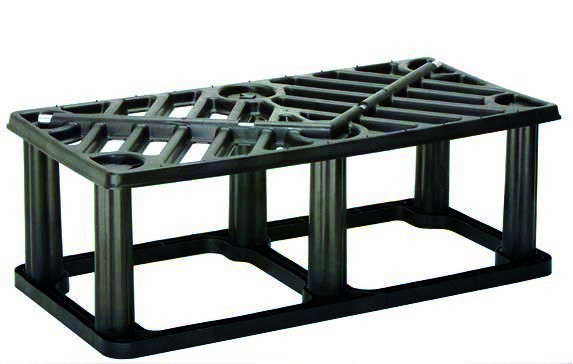 The Silva Cell, developed by DeepRoot Green Infrastructure, has been used in more than 1,000 North American urban plazas, parking lots and streetscapes. Richmond joins cities like Washington DC, New York and Seattle in thinking proactively about long term cost savings and environmental impacts from relatively modest initial investments. Each unit is an open frame cell that allows paving to be suspended above a generous volume of soil. 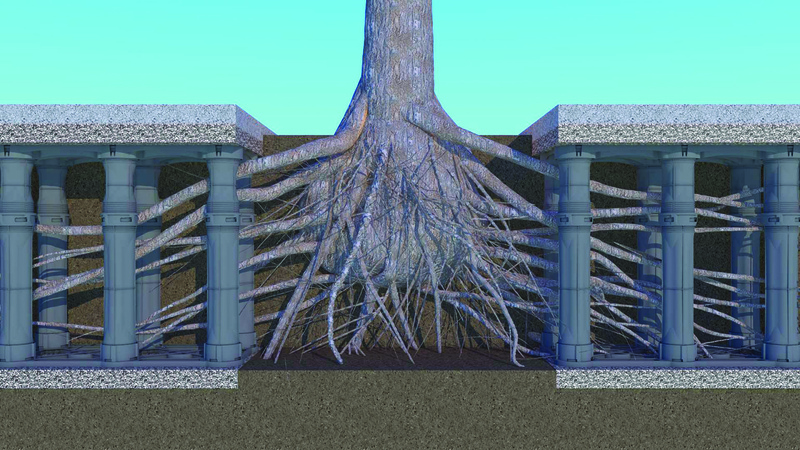 The cell itself handles the weight from vehicular or pedestrian traffic, while the planting soil still has pores for water and oxygen to reach fine roots. Tree size and life expectancy are directly proportional to available soil volume. A typical urban tree well is 4x4x4 (64 cubic ft), with the surrounding soil often too compacted for tree roots to penetrate. At the 17th Street Market, 22 new bottomland oaks will be sharing 4 large soil trenches, created by 580 cells providing almost 12,000 cubic ft of soil; approximately 525 cubic ft per tree. The average lifespan of an urban street tree is 10-13 years. 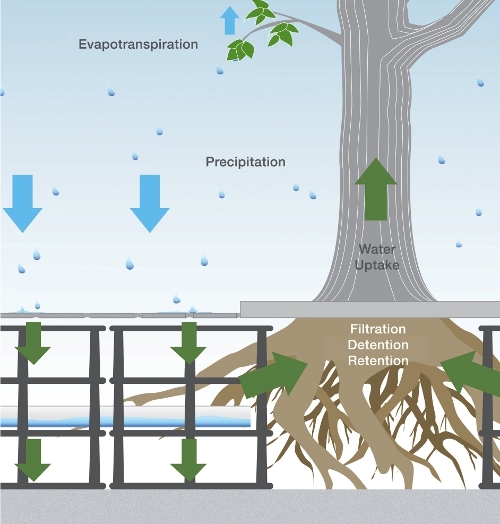 The city’s investment in the Market below-ground tree infrastructure will help the 22 oaks reach their natural lifespans of over 100 years, thereby allowing them to provide generous heat reducing shade, stormwater mitigation, carbon dioxide sequestration, air particulate reduction, and beauty. The Enrichmond Foundation, the nonprofit organization activating the market with community events once construction is complete, will provide tree care and beautification at the market through its TreeLab program. As the new trees grow into their Silva Cell system, TreeLab will monitor their health and provide optimum growing conditions. In anticipation of the 17th Street Market’s re-opening in early Fall, with tree installation happening in mid-Fall, the Enrichmond Foundation will host events and programs around the market beginning this summer. Events, such as the RVA East End Festival this weekend and the Bacon Festival on June 23, will take place on the streets surrounding the market until the space is accessible to pedestrians. Meticulously laid cobblestones, tree installation, and other key characteristics of the market will take several more months to complete, but the finished product will showcase a long-term commitment to the health of both the people and environment of downtown Richmond.